Impressing people at a fraction of the cost. In last week’s article, we recommended six watches for the crazy rich Asians. However, most of us are nowhere near that level of wealthiness. Hence, in this week’s article, we have decided to take a slightly different approach. Inspired by some of the articles that we have read this week, we think that it’d be a good idea to come up with six modestly priced watches that looks expensive. In this case, we will not need to break our bank. Additionally, this will also help to build a person’s street credentials, without having to spend extravagantly. What have we chosen? Let’s find out! 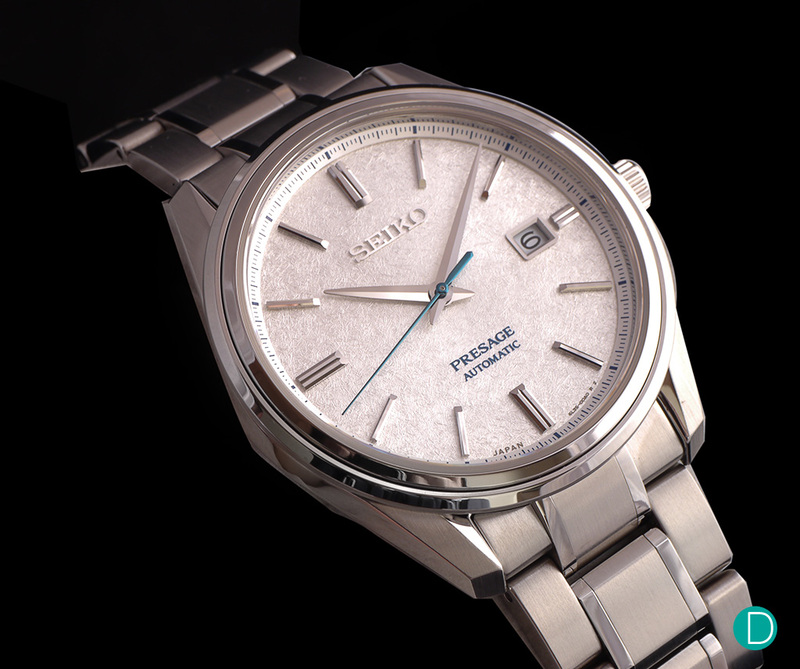 The first watch we have on the list is a perennial favourite of new collectors: the Seiko Presage Cocktail Time. The Presage line is Seiko’s dress watch collection. The Japanese watch manufacturer is known to produce great watches at reasonable price points, and the Presage is no exception either. The 40mm watch is clean and simple, with an additional date indicator at the 3 o’clock position for practicality. On top of that, the watch is fitted with Seiko’s workhorse Calibre 6L35 movement. The self-winding movement is adequately finished, but its reliability and price point more than make up for the lack of haute horlogerie decorations. The Seiko Presage Cocktail Time is a stunning piece, and it certainly looks more expensive than its price tag. The base model retails at US$425 (approximately S$580), and upwards to €2,200 (approximately S$3,481) for the new SJE073 model with the special “Snowflake” dial. For a budding watch collector, it is certainly something that ticks all the right boxes. 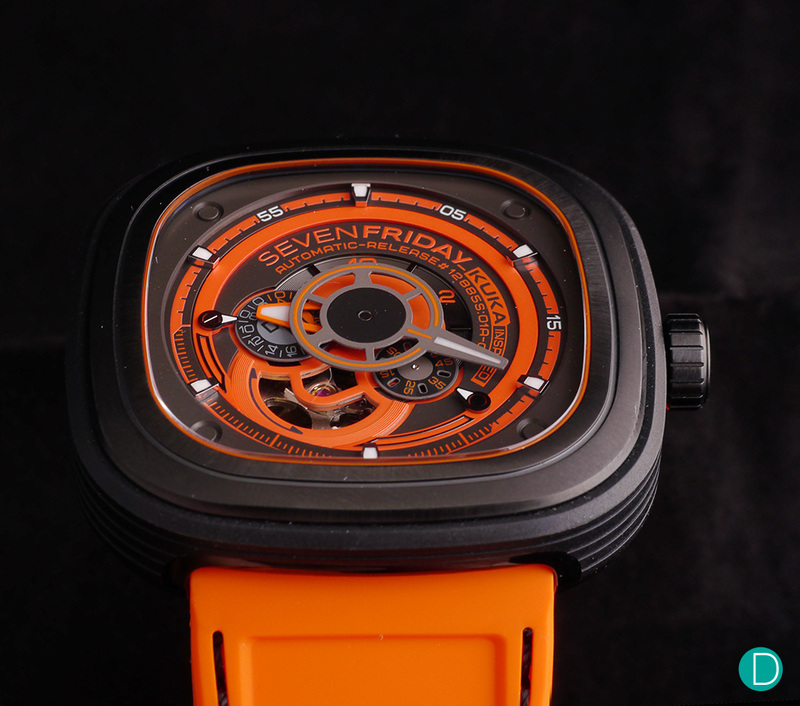 The SEVENFRIDAY P3/07 Kuka III. A loud but interesting piece for the bold. When SEVENFRIDAY first launched its timepieces in 2013, it took many of us by surprise. Its unique and funky design had certainly got us to think that this is a watch from yet another independent watchmaker that is priced out of reach for many. How wrong were we! Over the years, SEVENFRIDAY had became popular with many people. This is especially after the brand start to experiment with colours and even funkier designs. One of them is the Kuka III edition, which was launched last year. The watch is inspired by a German manufacturer of industrial robots, in which its corporate colour (orange) is used as the colour scheme for the timepiece. The watch is finished in black PVD stainless steel, which adds a nice contrast to the bright orange accents on the dial and strap. Priced at US$1,200 (approximately S$1,638), the Kuka III is an interesting and relatively affordable addition to any watch collection. It looks a littler loud too, and we think the entire package certainly helps to make it look more expensive than what its price tag suggests. If one is looking for a simple but elegant dress watch for the corporate world, look no further. 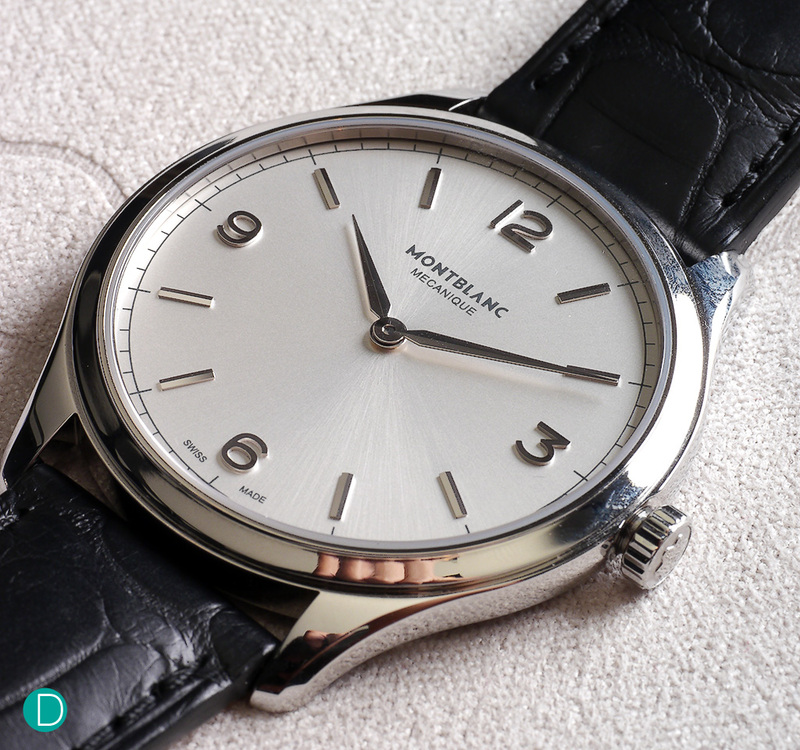 The Montblanc Heritage Chronométrie Ultra Slim might just be the perfectly priced timepiece that is worth a double take. The watch – launched in SIHH 2015 – is Montblanc’s attempt to shake up the entry-level category with a well-design ultra slim dress watch. The Heritage Chronométrie Ultra Slim looks perfect for the corporate world, with its thin case profile (5.8mm) and an appropriately sized case (38mm). It is fitted with a manual-winding Calibre MB 23.01, which allows the watch to be slim. It boasts a power reserve of around 40 hours, and the finishing is acceptable for a wristwatch of such price range. The Staudt Praeludium, by one of the latest kids on the block. The barrier to entry for collecting watches from independent watch manufacturers is high. The inaccessible price point can be attributed to the high costs and exclusivity that is tied to such watch makers, but that does not mean that any average watch collectors are unable to buy such a timepiece. Cue the Staudt Praeludium. Staudt is the brainchild of Yvo Staudt, a watchmaker from the Netherlands. The Praeludium is one of the first collections in Staudt’s repertoire. It is a simple three-hand watch, featuring a hand-wound Unitas movement that is modified to his specifications. It is self-assembled, with three-quarter gold-plated bridge, enhanced beat rate (21,600 bph instead of 18,000 bph, swan-neck regulator and the use of chatons, jewels, and blued screws. Every other component, such as the case, dial, and hands are also designed by Yvo himself. Priced at €2,349 (approximately S$3,729), we reckon this is one of the most accessible timepiece from a (budding) independent watchmaker. We are certainly keeping our eyes peeled on this one. The idea of owning an unusual timepiece is certainly an interesting proposition, but there aren’t many watch manufacturers out there who are willing to create something vastly different. Not only is it expensive to mould a different case, but many are also unsure as to the demand that such quirky pieces might command. Hence, these pieces are far and few. 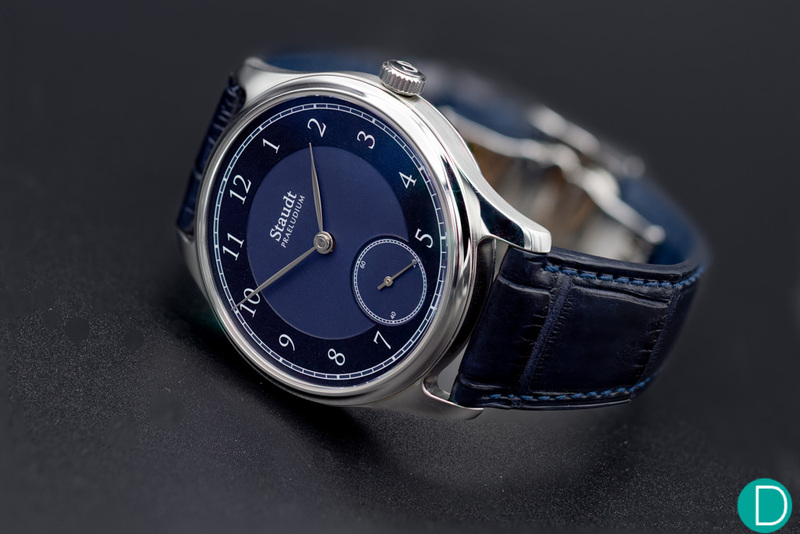 Azimuth, fortunately, is one of the watch manufacturers who are bold in their offerings. The Twin Turbo is an example. The watch was inspired by automobiles, in which it features two dials that reminds one of the car’s speedometer and tachymeter. But what really stood out was its odd case shape, which is unlike most of the watches that we are used to seeing. The hood, which lies above the twin dials, can be opened as well. This adds yet another interesting touch to the Twin Turbo. While some of the critics might comment that the Twin Turbo bears some resemblance to the MB&F HM4, but we feel that there are enough differences to differentiate these two watches apart. Besides, the HM4 also focuses a lot on the finishing and technical bits, while the Twin Turbo focuses more on building an eccentric timepiece for the masses. 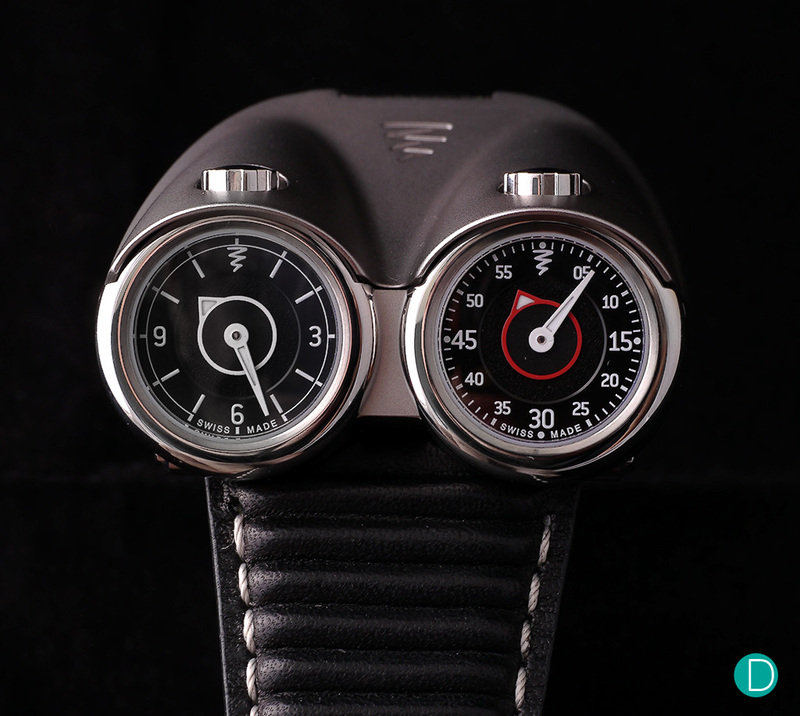 The Twin Turbo is priced at S$8,500, and we reckon this is a conversational piece that will add a new dimension into one’s watch collection. Finally, we round up the article with the Rolex Air King. Rolex has always been a symbol of wealth and success, but it is pretty much a rare commodity these days with its price and limited production numbers. The Air King, perhaps, might be an interesting and relatively affordable option to own a Rolex watch. Launched in Baselworld 2016, the Air King was perhaps one of the most interesting watches that Rolex have launched in recent times. It is not a new collection, nor does the watch features any revolutionary complication or technical breakthroughs. 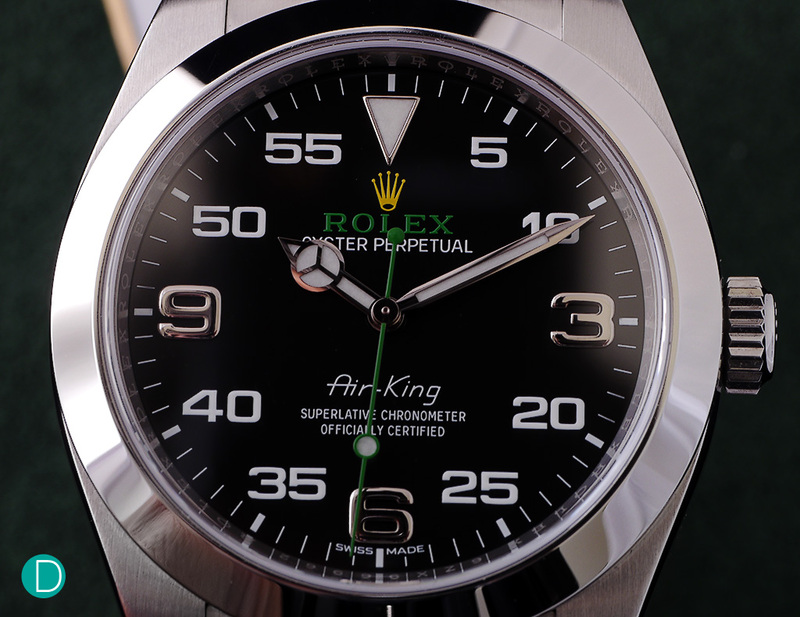 The Air King was interesting for the fact that it features a contemporary and unique dial design – something that is a tad distinctive from the usual Rolex watches. The combined use of both hours and minutes numerals on the dial is unusual, and the yellow crown and green “Rolex” print makes its aesthetics even more unique. While its appearance might be different, but the Air King is still a Rolex through and through. This means that it is still remains a well-built and robust timepiece. The 40mm watch features Rolex’s signature oyster case and bracelet, and its Calibre 3131 movement is Superlative Chronometer Certified (in which the movement is subjected to deviate only by 2 seconds daily). The Rolex Air King retails at S$8,340, and it is the ideal watch for someone who wants to own a Rolex without breaking the bank (relatively-speaking, of course). Contrary to popular beliefs, gold watches do not make one look rich. In fact, a poorly executed gold watch – especially those that are not from a luxury brand (apologies for being a brand snob here) – evokes an opposite reaction from people. This is why we have excluded gold watches from our selection today. Instead, we placed emphasis on two types of watches: (i) classy and elegant dress watch, as well as (ii) funky and quirky watches. The former will never go wrong, and it will surely look right in place with a long sleeve shirt. The latter, on the reverse, is conversational. These conversational pieces are not usually produced by mainstream brands, and hence it brings out a certain sense of exclusivity. Besides, a well-executed but unusual-looking timepiece certainly makes it look much more expensive than its price tag in reality. The SEVENFRIDAY, when it was first launched, is an excellent example. So, what are your thoughts on our selection? Do you think these watches look more expensive than what their price tags show? Let us know in the comments section below!